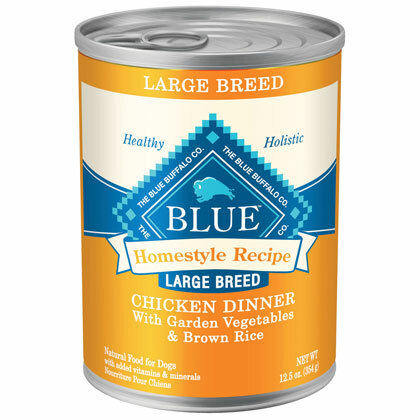 What is Blue Buffalo Homestyle Recipe Large Breed Canned Dog Food? Blue Buffalo Homestyle Recipe Large Breed Canned Dog Food is a canned dog food for large breed adult dogs made with a high quality protein - chicken - as the first ingredient. 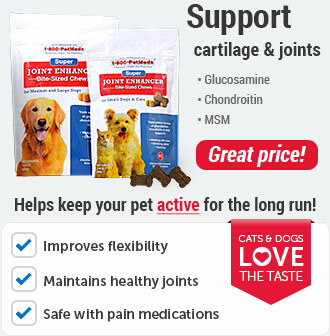 It also contains nutritious fruits and vegetables as well as glucosamine and chondroitin to maintain healthy joints. As an added bonus, it also contains L-Carnitine to help promote lean muscle development. With no poultry by-products, or corn, dairy, soy or eggs, it truly is a nutritious, yummy canned food for your large breed buddy. Blue Buffalo Homestyle Recipe Large Breed Canned Dog Food contains L-Carnitine which helps promote lean muscles, while glucosamine and chondroitin maintain healthy joints in large breed dogs. 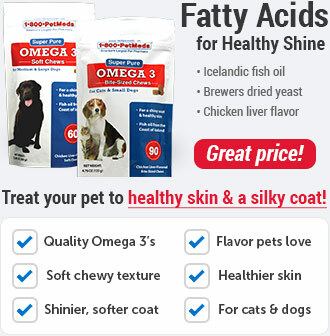 Blue Homestyle Recipe is a nutritious food to keep your large breed dog healthy and active for years to come. It is very important to ensure that you feed your large-breed dog the correct amount of adult dog food each day based on the recommended daily feeding chart or in the amount advised by your veterinarian. Underfeeding can lead to serious malnutrition issues, and overfeeding can lead to obesity and other health problems, especially in large breeds prone to bone and joint conditions due to their large size. Feed approximately 1/2 can for every 10 pounds of body weight per day. 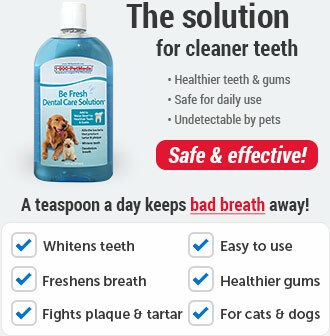 Note: Individual dogs' requirements may vary due to age, breed, environment and activity level. 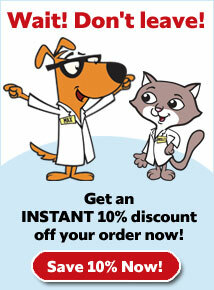 Adjust food as required to maintain optimal body condition and ask your veterinarian if you are unsure. 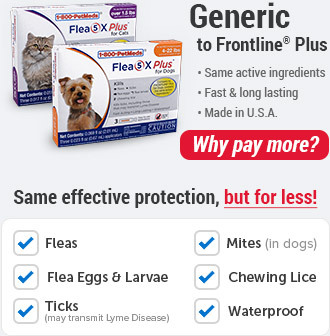 Although great for any large breed dog, Blue Buffalo Homestyle Recipe Large Breed Canned Dog Food is especially beneficial for dogs with allergies, since it does not contain wheat. 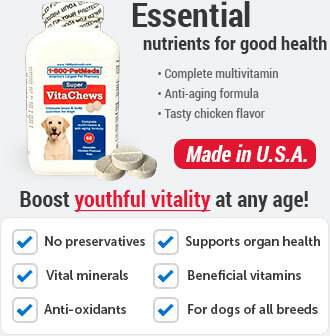 Ingredients: Chicken, Chicken Broth, Whole Ground Brown Rice, Whole Ground Barley, Oatmeal, Carrots, Peas, Sweet Potatoes, Guar Gum, Flaxseed (source of Omega 3 and 6 Fatty Acids), Glucosamine Hydrochloride, Chondroitin Sulfate, Blueberries, Cranberries, Carrageenan, Cassia Gum, Salt, Potassium Chloride, Vitamin A Supplement, Thiamine Mononitrate (Vitamin B1), Riboflavin (Vitamin B2), Niacin (Vitamin B3), d-Calcium Pantothenate (Vitamin B5), Pyridoxine Hydrochloride (Vitamin B6), Biotin (Vitamin B7), Folic Acid (Vitamin B9), Vitamin B12 Supplement, Vitamin D3 Supplement, Vitamin E Supplement, Iron Amino Acid, Chelate Zinc Amino Acid, Chelate Copper Amino Acid, Chelate Manganese Amino Acid, Chelate Sodium Selenite, Calcium Iodate, Choline Chloride. Nutrition Statement:BLUE Homestyle Recipe Large Breed Chicken Dinner with Garden Vegetables & Brown Rice for Dogs is formulated to meet the nutritional levels established by the AAFCO Dog Food Nutrient Profiles for maintenance. Calorie Content (ME Calculated, as fed):1278 Kcals/kg 454 Kcals/can. Keep all open cans in the refrigerator.